Digvijaya Singh's friends in the Madhya Pradesh Congress have tried to impress upon the media persons that the State's former Chief Minister has not been kept out of the recently constituted Congress Working Committee (CWC) but that he had himself conveyed to the party high command his desire to be kept out and also not to be saddled with any position such as general secretary. It had come as a surprise to many (and shock to some) when Digvijaya Singh's name did not appear in the new CWC. He is no doubt the tallest leader in the State Congress with his reach across the State, and beyond. There were, however, not many takers for the claim that he had himself opted out. The State's former Chief Minister is known to say something and do (or try) just the opposite. For instance, on December 1, 1993 he had told a public meeting at Jhabua that he was not interested in becoming the Chief Minister (Congress had already won the majority of seats in the Assembly); this he repeated next day before media persons at Indore. On December 3, he flew to Bhopal and was the first to formally stake his claim for the post of Chief Minister. 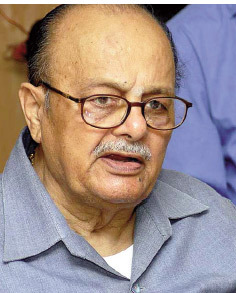 Arjun Singh After the dismal rout of the Congress in the 2003 Assembly elections, he had publicly declared not to accept any position in the government or the party for ten years. Soon afterwards, he became AICC General Secretary, mainly with the help of Arjun Singh who had considerable clout in the Congress at that time. Till a few days before he quietly filed nomination for the Rajya Sabha, he had been mocking those who entered Parliament through 'chor darwaza' (backdoor, meaning through Rajya Sabha). 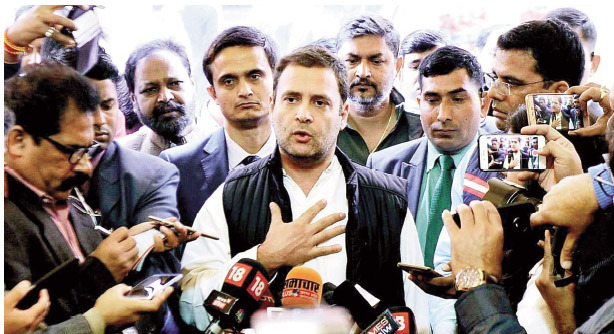 Rahul Gandhi constitutes CWC; Kamal Nath, Digvijaya Singh among those dropped As the controversy continued, the former AICC General Secretary observed that 'it is the privilege of Congress president Rahul Gandhi to choose the members of the Congress Working Committee and I am happy that he has appointed the CWC. I have absolutely no problem with it.' Digvijaya Singh was General Secretary in Sonia Gandhi's team for over 13 years and was considered among heavyweights in the Congress. He was once considered as the mentor of Rahul Gandhi and it was said that Sonia Gandhi had assigned him to teach Rahul Gandhi the ropes of politics. 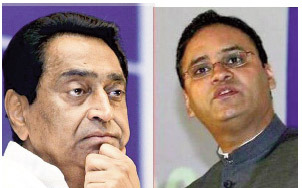 Kamal Nath and Arun Yadav a saviour of the Congress when the country's politics is being dominated by the Hindutva gimmicks. However, no one in the party high command gave it any importance. He had to wait and wait for even a meeting with Rahul Gandhi when he went to Delhi after completing his Narmada parikrama. Before undertaking the Narmada parikrama, he had announced that it was purely a spiritual perambulation of the holy river and that he would not talk politics during the six-month period. Towards the close of the parikrama, he had started giving interviews to newspersons, attacking the BJP government of Shivraj Singh Chouhan and expressing his wish to unite the warring Congress ranks in the State in the run up to the Assembly elections due in November this year. 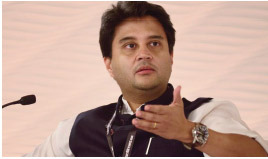 Jyotiraditya Scindia He had even claimed, more than once, that by talking to the people and seeing for himself during his padyatra, he had collected so much evidence of corruption which, once out in public, would shake the Chouhan government. The material collected by him was described by his followers in the party as nothing short of a bombshell. That bombshell continues to be in the wraps till now. When PCC president Arun Yadav was replaced by Kamal Nath, it was said that it was through Digvijaya Singh's manoeuvring and that he would be the real force behind the PCC decisions. Soon, that impression was dispelled. The two persons in the State Congress who matter are PCC chief Kamal Nath and Chairman of the Campaign Committee Jyotiraditya Scindia. Digvijaya Singh has been, though, made 'coordinator' which hardly means anything. 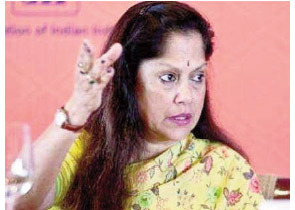 Vasundhara Raje Scindia When Rahul Gandhi came to Mandsaur on June 6 to address the rally organised by the State Congress to mark the first anniversary of police firing on agitating farmers (6 were killed), he acknowledged Digvijaya Singh only peremptorily, but mentioned repeatedly the names of Kamal Nath and Jyotiraditya Scindia in his speech. Then the final act, constitution of the Congress Working Committee (CWC); not only Digvijaya Singh was kept out but two persons Digvijaya Singh is quite allergic to were included in the CWC --- Scindia and former PCC chief Arun Yadav. According to party circles, Digvijaya Singh is being kept in the side-lines as part of the election strategy. With his tenyear rule behind him, Digvijaya Singh is an easy target for the BJP as his regime was not free of corruption and also that he had hardly taken any initiative to benefit the people. On the other hand, the BJP has nothing much to say against Kamal Nath and Jyotiraditya Scindia. All that Chouhan has said so far about Kamal Nath is that Nath represents corporate culture and not farmers and the poor. It didn't tick. 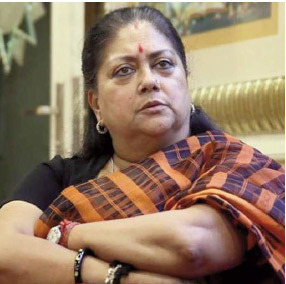 Yashodhara Raje Scindia Before Kamal Nath was appointed PCC chief and Scindia was considered as the frontrunner for the leadership of the Congress, Chouhan had tried to attack him by saying how Scindia's forefathers had been licking the boots of the British rulers. According to party circles, Digvijaya Singh is being kept in the side-lines as part of the election strategy. With his ten-year rule behind him, Digvijaya Singh is an easy target for the BJP as his regime was not free of corruption and also that he had hardly taken any initiative to benefit the people. Scindia (a senior member of the Chouhan cabinet) replied to Chouhan in rather harsh tones. Chouhan had to stop his harangue about Jyotiraditya's forefathers. While the Congress is trying to keep Digvijaya Singh away from the limelight, the BJP leaders are trying to poke him and drag him into forefront by ridiculing his ten-year rule now and then. Chouhan went to the extent of calling him even a 'traitor'. How Chouhan deals with this is yet to be seen (at the time of writing). 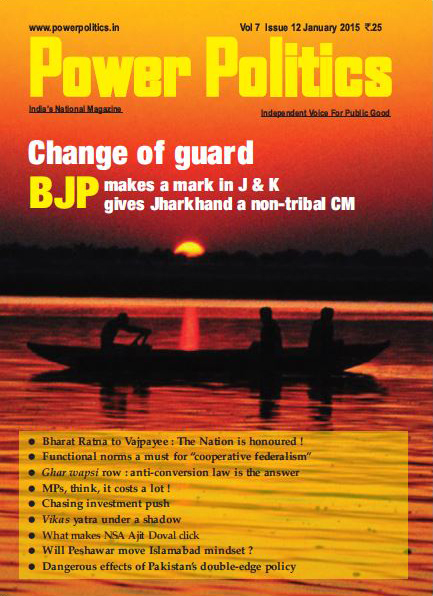 But the Chouhan- Digvijaya enacted farce has for the time being diverted attention from the Congress party's recent attempts to highlight multiple failures in the 15-year rule of the BJP.